Wyman. Murdoch’s daughter Elizabeth, 47, and other son James, 43, were also there. Earlier in the day a car-load of lavish bouquets of white flowers were seen being delivered to Jerry’s house along with designer dresses from Max Mara and Vivienne Westwood and hat boxes. 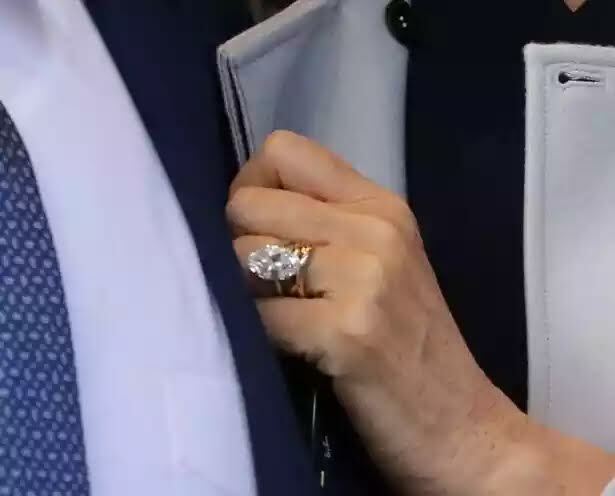 The pair had a romantic lunch at swanky restaurant Scott's in Mayfair and she flashed her wedding band and £2.4million diamond engagement ring. 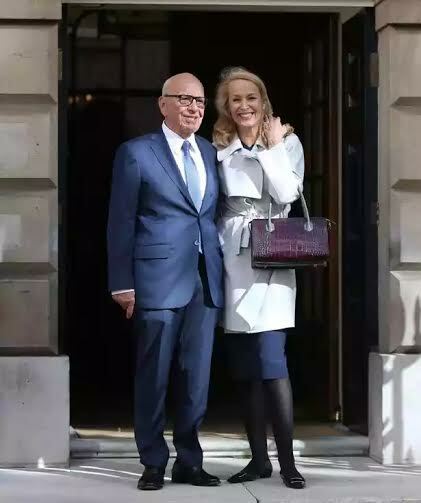 The businessman and blonde beauty, 59, are reportedly holding a service today Saturday, the 6th of March at St Bride’s Church on London's Fleet Street – a fitting location in the home of journalism. After yesterday's midday ceremony, Murdoch announced he was taking a break from social media after his big day. He posted on the site: "No more tweets for ten days or ever! Feel like the luckiest AND happiest man in world." Last month the couple announced their engagement following a whirlwind four-month romance.